It’s a jar salad, which is popular now in New York and Japan. It comes in two types, Chicken and Beans. Shake it well first. 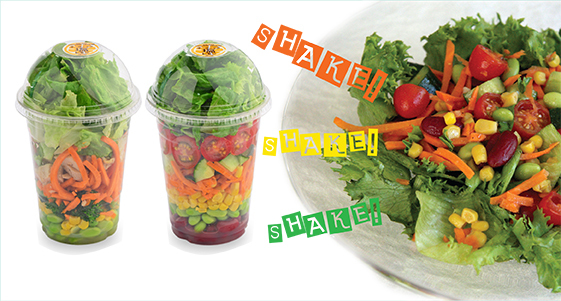 The vegetable, beans and dressing mix well by shaking the cup while holding the lid tight. It becomes a full serving salad dish by putting it on a plate. Enjoy it for lunch at work, at picnic or dinner at home.